Geraldine Beskin, Darren V. Strongman and Sharon Day present a very special event in central London on the 9th of June 2018 to celebrate and commemorate the life and work of Alex Sanders on this, the 30th year since his passing. 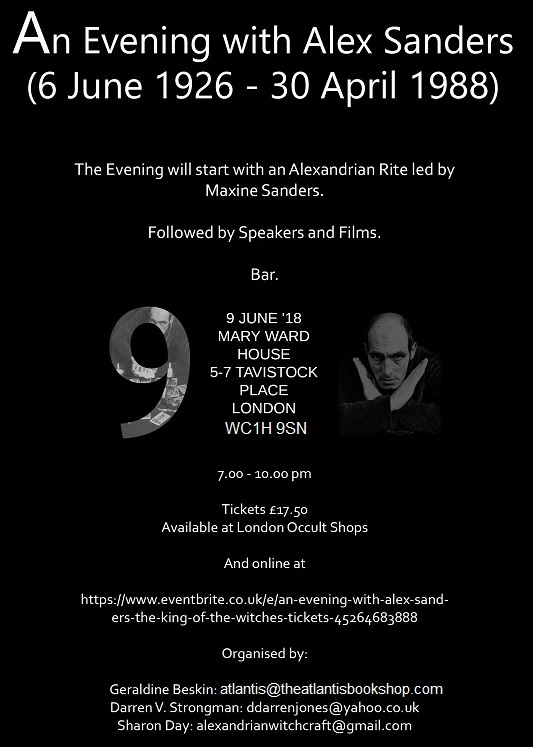 We hope you will be able to join us for this unique celebration with the participation of those that knew Alex best, with contributions drawn from initiates whose time encompasses the whole history of Alexandrian witchcraft. The event will start with a ritual led by Maxine Sanders. 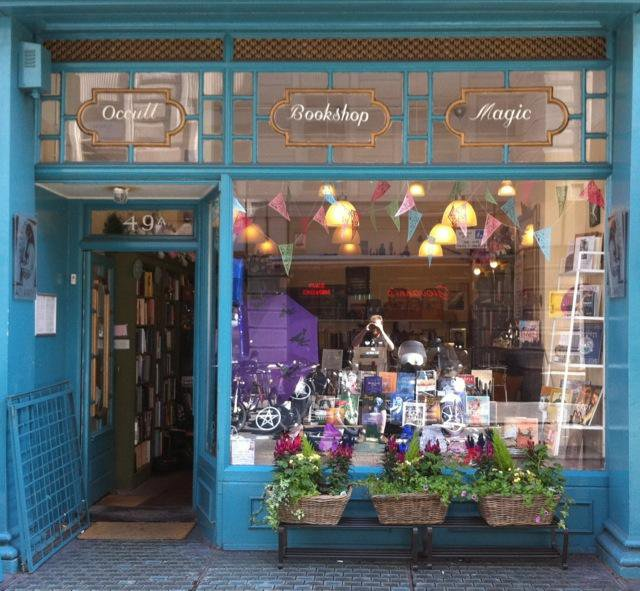 Tickets are available either directly from us at The Atlantis Bookshop (call 020 7405 2120, or pop in for details) or via Eventbrite. We are also inviting contributions in person or via recorded video from those who knew Alex Sanders personally to feature at this celebration. Please get in touch via email or Facebook message. You will find all the details you need on our event page.